November is usually the time of year that I start to think about getting next year's calendars. Yes, we still have the good old fashioned paper calendars. No matter how advanced smartphones and tablets are becoming, we still find it easier to view a calendar on the wall to see what is going on for the month. So I was very pleased when Snapfish asked if I'd like to review their calendars. 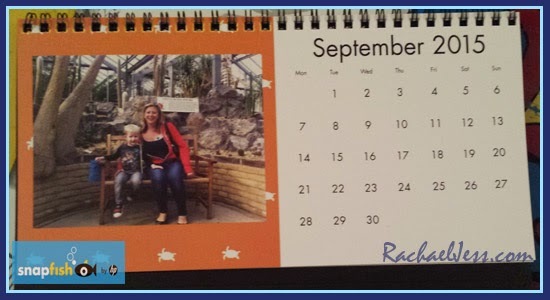 I love personalised photo calendars and have had these every year now for quite some years, and as websites go Snapfish is just as easy to navigate around as other companies. One thing that does become apparent very quickly is once you've created your account - upload the images you want to work with. Upload from your PC/laptop (or source) even though there is a Facebook option I never use this if I don't have to. I've mentioned this before, you do not get the quality from Facebook photos as you do from source. Facebook reduces the quality of their site and then that reduced quality, in turn, is passed on to your customised printouts. The albums are pretty quick to upload - I strongly suggest giving each album a title, as I was having 3 different calendars I created 3 different folders accordingly. Now, my first 2 calendars were good old basic desk calendar and kitchen calendar. For my kitchen calendar, I chose pictures from our day out at London's Film and Comic Con and what I'd say to anyone creating this calendar - use landscape pictures. Portrait pictures work - but there is a lot of background colour to some of my months due to the image being portrait. I also found that there is quite a bit of background colour so don't just select the default, make sure you choose one you like. For my desk calendar, I chose various pictures of my boys, as this one is coming to work with me, and this is a great size desk calendar. Both of these calendars only cost £9.99 which I think is a reasonable price and also makes an affordable gift. But for me, the WOW factor (and that did actually happen when I showed my partner the final product) was the poster calendar. This costs £19.99 and worth every penny in my opinion!! 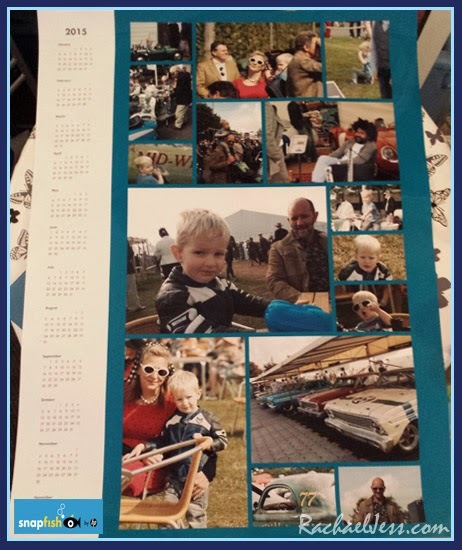 I created a folder from our day out at Goodwood Revival and I picked a selection of my favourite images which are then arranged randomly on the screen to become your poster calendar. You can pick which one you'd like to be a feature, and rearrange them until you are happy. You can also change the background colour and preview the poster until you are happy. The poster is MASSIVE and I LOVE it. The quality of the photos are fantastic and I only chose 14 images but you can have up to 30! You are spoilt for choice when customising this and I highly recommend this product - if you have good quality pictures, you won't be disappointed at all. 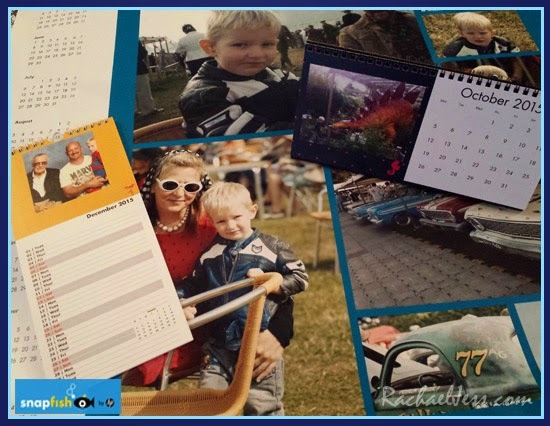 Will you be ordering customised calendars this year? 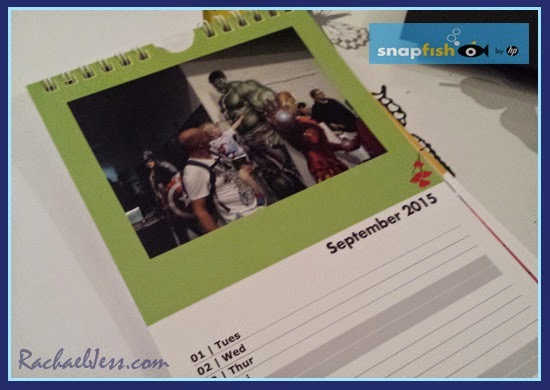 Disclaimer: I received a voucher from Snapfish to purchase and review these calendars. Highly recommend the poster calendar Rebecca, it really is fab.